I love baby boy clothes, they are so cute! I know everyone says girls are more fun to shop for but I don't agree with that, and yes I have 2 almost 3 VERY spoiled nieces and besides the headbands I think boys are just as fun to shop for! So for anyone struggling to find cute baby boy clothes this post is for you. Or for anyone with a shopping addiction for their unborn child (or born) like I do. :) I am a huge online shopper, I work all day so when I get off work the last thing I want to do is go out shopping so I usually just look online. One of my all time favorite place to look for baby boy stuff is Gap! Their baby clothes (and clothes for me) are seriously so cute and a lot of them don't look to "babyish", I am not a fan of the cheesy baby clothes so I love Gap for their selection of clothes that aren't cheesy! 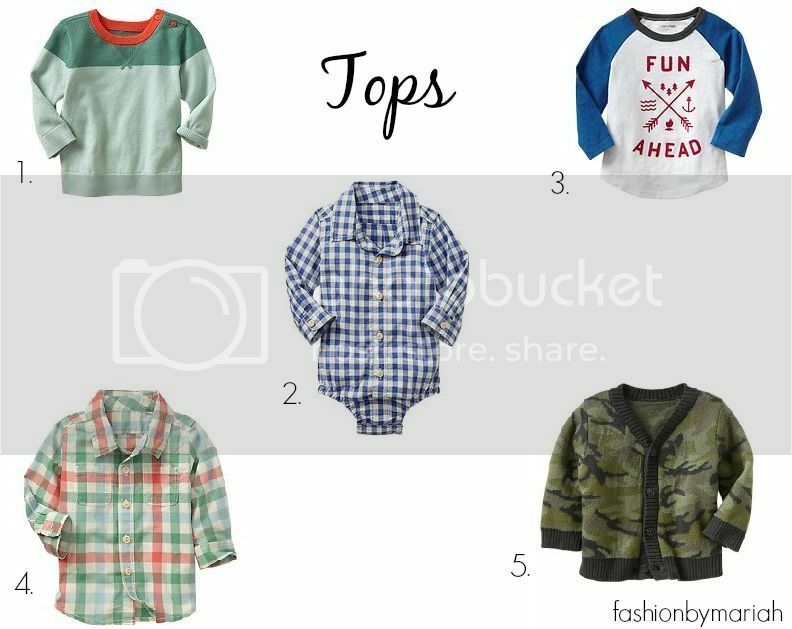 So here is my baby boy clothes favorites - Fall Edition! 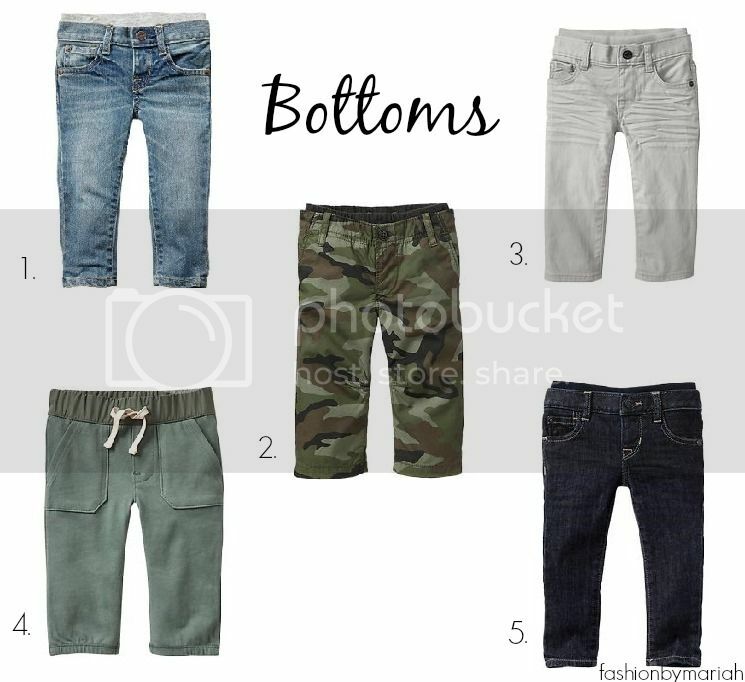 Bottoms have been one of the hardest things for me to find. I am not a fan of leggings for a little boy, I think they are a little to feminine for me ( I do however like sweats for boys like this, and this) and I want my baby to look like a little man! That being said, if you have a hard time finding slim fitting jeans for your little boys.. check the girl section. I have found a couple of really cute slim/skinny fit jeans that are simple and you can't even tell that they are for a little girl! No this is not a sponsored post I just love all these items and had to share! I hope you all are having an amazing week. I have TONS of fun outfit posts and giveaways coming your way so stay tuned! ALSO GAP IS OFFERING 40% off your purchase!!!!! So cute pictures.....totally love the clothing. Baby boys look so cute in Page boy suits UK.